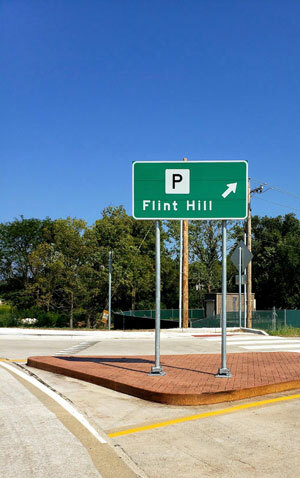 The Planning & Zoning Commission (also referred to as “P&Z” or “Commission”) is a seven to fifteen member volunteer commission of residents who reside within the City of Flint Hill and are appointed by the Mayor and approved by the Board of Aldermen. P&Z members serve a four year term. New terms begin in April of each year. P&Z usually meets on the Monday prior to the scheduled Board of Aldermen meeting, as needed. 23.06 DUTIES OF COMMISSION: It shall be the function and duty of the Commission to make and adopt plans for the physical development of the municipality, including any area outside of its boundaries but within its statutory authority which, in the Commission’s judgement, bear relation to the planning of the municipality, including site plans as provided in Article 26.
Review and make recommendation on all rezoning requests. Review and make recommendation on all conditional use permit requests. Review and make recommendation on all amendments to the Zoning Ordinance and the Subdivision Regulations. Review and make recommendation on all applications for site plan approval. Review and make recommendations on all applications for preliminary plat approval. Review and make recommendations on the Comprehensive Plan. Review all directory signs as to their height and overall square feet. Review all requests for county rezoning and platting, for areas located within one and one-half miles of the City limits and send its recommendations to the Board of Aldermen for their final review and recommendation to the County. Advisory items to the Board of Aldermen as requested by the Board of Aldermen. Recommend programs for public structures and improvements and for the financing thereof. It shall be the function and duty of the Commission to further consult and advise with public officials and agencies, civic organizations, public utility companies, educational, professional and other organizations and with citizens with relation to the promulgation and carrying out of the plan, The Commission shall be the power to delegate authority to any of the above named groups to conduct studies and make surveys for said Commission it deems expedient with the approval of the Board of Aldermen. The Commission shall, from time to time, review applications, issue reports, and make recommendation to the Mayor and Board of Aldermen on amendments to the zoning map as provided in Article 3, Planned Unit Developments, as provided in Article 17, and all other powers and duties ascribed to them by this Ordinance.